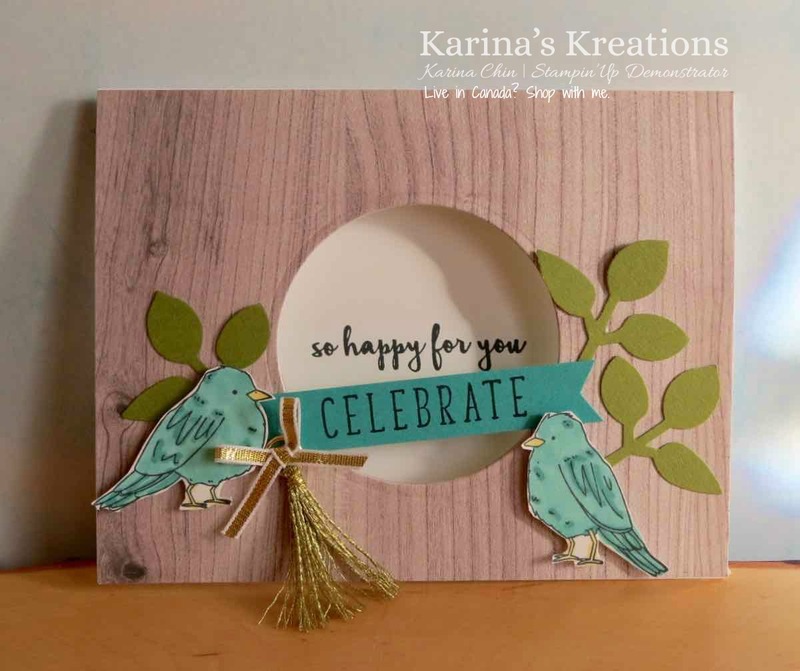 Karina's Kreations: Alaska Achiever's Blog Hop! Thank you for joining us in the Alaska Achiever's November blog hop. This is the second blog hop of the Stampin'Up Calendar year. I am a Canadian demonstrator from Edmonton Alberta and have created this fun card for you. Christmas is coming and I wanted to feature a product that would make a perfect gift for you or friends and loved ones. The new product I'm featuring are the new Stampin' Blends. They are really fun to color with and come in a set of two colors or if Santa is good to you, you may get the whole set. Make sure to ask for a black memento ink pad which you will need for your markers. I used the new Color Happy Stamp set on my card. The stamp set coordinates with the Color Me Happy Card kit so if you don't like to design or cut your card bases, get the kit and have fun stamping over the Holiday season. Check out all the other fun projects my friends have designed and my supply list will follow.